Agile Transformation Metrics: What Are Agile Transformation Metrics? Agile transformation metrics measure the efficiency, performance, progress or quality of an agile transformation plan. These metrics can be used to track and communicate the health and weakness of an organization’s agile transformation and should be part of the organization’s agile transformation competency framework. No standard set of metrics exists industry-wide therefore each organization must develop their own unique success criteria. The agile transformation framework should include a cadence as to when to inspect the health of the transformation. Agile transformation is an evolutionary process and frequent check points will keep the metrics aligned with current goals. To ensure metrics remain relevant, they should be inspected and possible adapted to assess if they still align with the organization’s short and long term goals and objectives. Certain metrics may be created to align with the organization’s specific agile maturity phase and as an organization moves from one phase to another, certain metrics may no longer be relevant. Inspection and adaption will ensure metrics align with the proper goals. The 7th of the twelve Agile Manifesto principles state that “working software is the primary measure of progress.” Delivering quality software in short increments is one of the major goals of an agile transformation and will obviously be an important metric to capture. 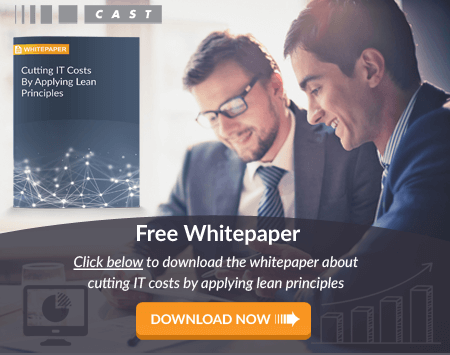 To provide a few examples, metrics that report code or application quality, application security, time to value, and visibility into technical debt are extremely valuable to all members of the delivery team, IT leaders and stake holders. Measuring code quality and application quality should include if the software is doing what it’s supposed to do (functional requirements) but more significantly it should measure if the software is built well (non-functional requirements). Fitness for Purpose metrics (KPIs) are stakeholder (or customer) value metrics which they use to select a service, such as delivery time, security, quality or predictability. Examples would include customer satisfaction, business value, through put and on-time delivery. Health indicators are primarily for internal purposes and provide information as to quality of the product or even process. The end customer doesn’t necessarily value these indicators, but stakeholders may. The agile transformation success criteria should include long and short term KPIs and indicators of health. Once created and identified stakeholders should agree upon these metrics and these metrics need to be considered a form of communication and publicized and shared freely. Agile transformation metrics, when well-defined and are truly meaningful, can provide tremendous value to IT leaders and stakeholders. CAST provides measurement solutionsto organizations undergoing agile transformations. These metrics are reported through a set of audience-tailored dashboards that provide visibility for managing complex transformation initiatives. Establish a baseline for measuring quality and productivity of application development process prior to agile transformation. The baseline creates factual understanding of the existing state of development process, teams and output to serve as the benchmark for improvement. Baseline the key applications along the most important application health parameters to ensure they don’t deteriorate over the life of the agile transformation. This protects critical systems during transformation process. Govern and manage risk and quality based on established management criteria and metrics. Support continuous improvement through automated, sustainable measurement of application development process output.